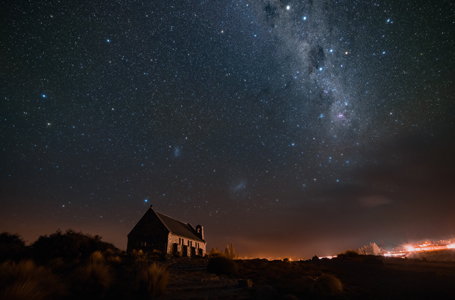 Situated amongst a breathtakingly beautiful backdrop of Lake Tekapo, the Southern Alps, and at night the Milky Way galaxy, the little stone church is deservingly one of New Zealand’s most photographed landmarks. Get up close at night with our region’s most celebrated icon. 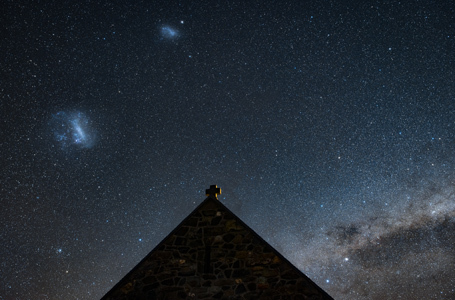 This short walking tour takes you on a journey of Aoraki-Mackenzie, our Southern Skies, tātai arorangi (Māori astronomy) and allows you exclusive access within the Church grounds at night to get that special photograph. The Church of the Good Shepherd committee is proud to partner with Earth And Sky for this tour with funds contributing to the ongoing preservation of the Church. The tour is hosted by an experienced team of astronomy guides and astrophotographers. Guests will receive a digital photograph of their travel group in front of the charming Church, in addition to the expert astrophotographer’s favourite image of the Church on that night. We recommend wearing warm clothing at all times of the year. Please bring comfortable walking shoes. Please note the church and grounds are CLOSED to the public from 8pm until 9am.